Price: $42.99 for 1 fl. oz. This study, published in the International Journal for Applied Science in 2008, provided evidence to prove that stem cells from Malus Domestica, a rare Swiss apple, delivered structural skin improvements. Wrinkles that appear on the skin surface have been observed to improve in depth by as much as 15 per cent over 4 weeks of regular product application. 3D scans show how the formula filled in the creases in the skin’s matrix. This study proves claims made by stem cell-infused creams listed in the best anti aging cream reviews above. The study, published in the Journal of Dermato Endocrinology in 2012, reviewed literature available to support the wrinkle smoothing claims made by anti-aging creams, among other anti-aging procedures.R Researchers found evidence that there is sufficient evidence supporting claims that Vitamin A and its derivatives, such as retinol, have and un-wrinkling effect on skin. Another key finding was that antioxidants can revive sluggish skin cells and provide sufficient cellular-level protection. Based on evidence, the most useful antioxidants for anti-aging purposes and the most suitable for skin application is a combination of Vitamins C, E and B3 (Niacinamide). This study, published in the Journal of Clinical and Aesthetic Dermatology in 2017, tested the efficacy of an anti-wrinkle product formulation in smoothing out wrinkles. After a 56-day period of regular and consistent product application, the researchers observed improvements in the appearance of facial and lip lines. The researchers attributed these to two key product components: hyaluronic acid and collagen. 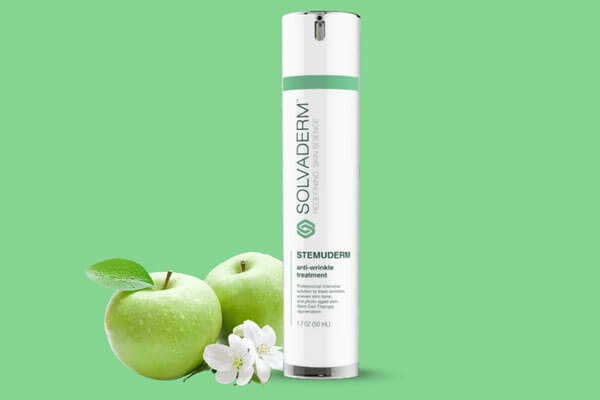 These wrinkle creams utilize the power of stem cells in rejuvenating skin and in inhibiting cellular degradation to keep skin healthy and revitalized. While plant stem cells are used, only stem cells from Malus domestica appear to have evidence to prove it works. These creams use Vitamin A or its derivatives as its key wrinkle-fighting ingredient. You will often find these ingredients listed as retinol. Tretinoin is a highly concentrated form and is available only by prescription. These wrinkle creams work by plumping your skin. Key ingredients include squalane and plant oils. It is fast becoming a practice for wrinkle care products to include differently weighted hyaluronic acid. In any form, hyaluronic acid is the most effective ingredient for rehydrating dehydrated skin. What is your skin type, age, and gender? What is your most pressing aging skin concern?